Surfing through the InStyle.com site I stumbled on an interesting necklace from Marni Summer. 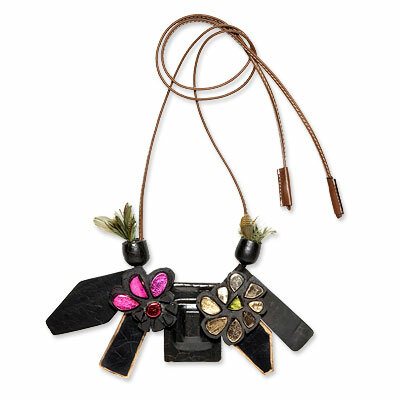 It is hard to imagine a necklace combining gold, feathers and recycled tires…but there it is. The Marni site is delightful…love the home page. Be sure to check out the The Children’s Imaginary World.